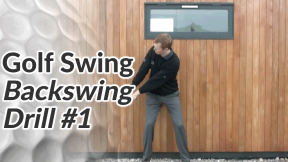 Please see the backswing checkpoints video in conjunction with this drill to get the most from it.This excellent golf backswing drill is simple but very informative. 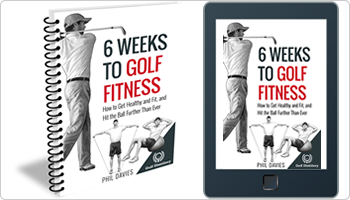 It will help you get a feel for your swing path and whether you’re swinging the club on too flat or too steep a plane. You can either watch the video below or read the video summary – either way I’ve added some extra notes beneath the video to help clarify a couple of points. Find an area where you can use a wall to check the path of your backswing. Take your set up so that your backside just touches the wall as you set up to the ball. You may want to grip the club at the opposite end (near the club head) to avoid damaging your club or the wall (See image #1). Take the club away until the club head is roughly hip height. 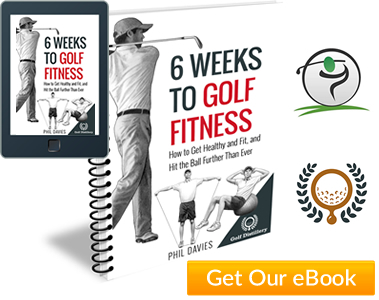 Ensure that the club is parallel to the wall and parallel to the ground at this level. This will help you spot an inside or outside takeaway position (see image #2). Continue to the half way back position. The club should touch the wall at or around head height (see image #3). If it touches the wall at hip, chest or shoulder height, you are taking the club back too much on an inside path (see image #4). If the club doesn’t touch the wall at all or way above head height, you are taking the club back too much on the outside. 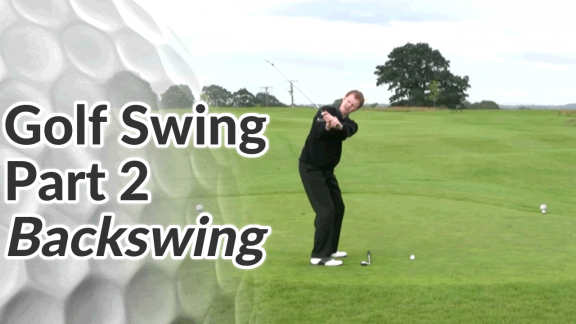 Side note In the video above I demonstrate this backswing drill with a 7 iron. You can try it with different clubs but be aware that because your posture is changing along with the length of the club, the clubhead should come into contact with the wall at different heights…For example, a driver should touch the wall lower down – at about shoulder height. A pitching wedge should touch the wall way above head height, if at all.